“Over the past year, some 34,000 men, women and children were forced from their homes every single day, pushing the [global] total to an astonishing 65.3 million people.” - Doctors Without Borders. 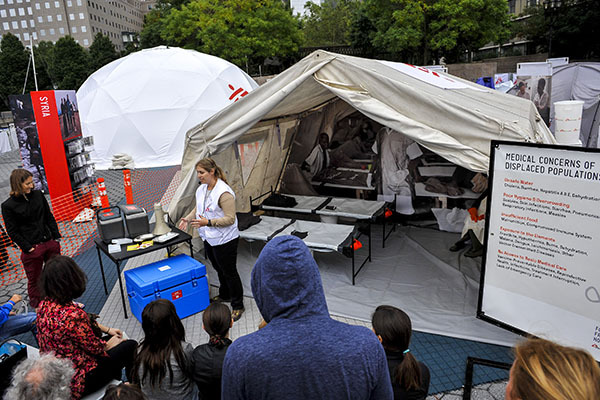 On Monday, September 4th, Doctors Without Borders (Medecins Sans Frontieres/MSF) brought Forced From Home to downtown Boulder (on the Courthouse lawn). 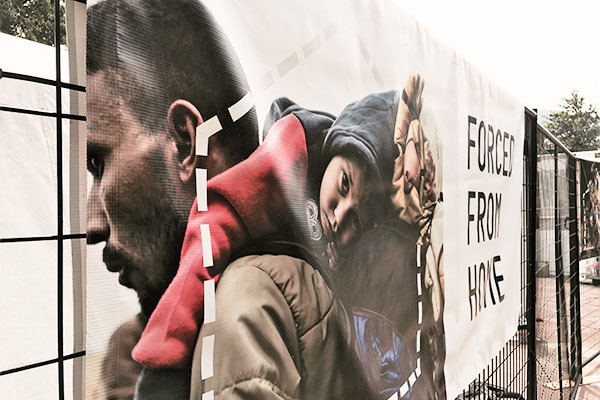 Forced From Home brings some of the realities of displacement closer to home, and works to keep the public informed on global refugee problems. This free exhibition, running through September 10th (9 am - 5 pm) features an hour long tour where the public can get an enhanced understanding of the crisis. These tours are led by an experienced Doctors Without Borders worker, and give you a chance to get exposed to some of the difficulties of being a displaced person. 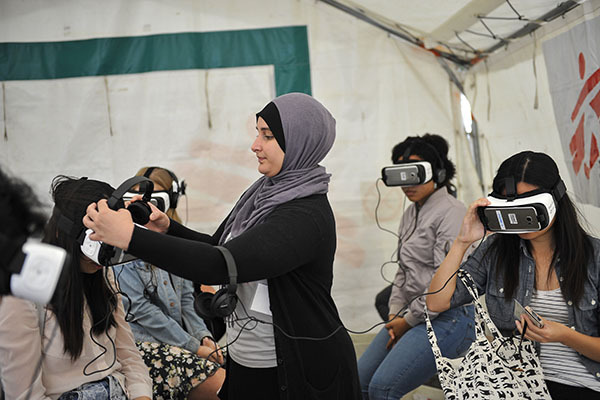 Forced From Home also features a Virtual Reality Tent that shows short refugee documentaries from around the world on a 360° virtual platform. I watched one video based in South Sudan, and one in Iraq. In the virtual reality you are able to spin in order to look around at the refugee camps, and it is designed as if you are physically standing in that setting. This allows you to vividly picture what the refugee is talking about. Each video follows one refugee from the designated area, and they tell their story and share their personal hardships. As a viewer, I can say that these videos really touched me and definitely made me more informed on the displacement crisis that the world is facing. I felt like my eyes were opened more widely to these problems, and I feel motivated to stay informed and spread the word. I would highly recommend heading downtown to check out this on-of-a-kind exhibition.